If we had to pick one thing Civic strives for every day, it's to keep the 'Personal' in Personal Banking. 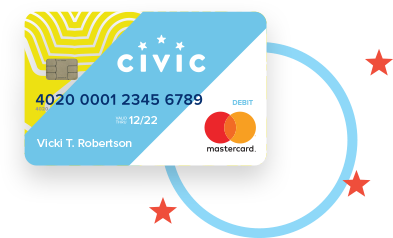 Civic was built to put people before profits. We designed our Personal Banking products to help you reach your goals, not ours. And we back each Civic product with people who love to help people. Civic banking is Personal Banking. We pay up when you swipe down. Reach for it at the grocery store, the coffee shop, the gas station or wherever. With your Civic debit card, paybacks are a cinch. * 2% APY applies to member accounts incurring 20 debit card purchases per month, excluding ATM withdrawals and automatic account drafts. Purchases and/or transactions may take up to two business days from transaction date to post to the account. This bonus dividend rate is paid on balances up to $10,000. Balances in excess of $10,000 will earn dividends at the current available rate. Minimum opening deposit is $5. For members making less than 20 qualified purchases per month, dividend rate is 0.15%. 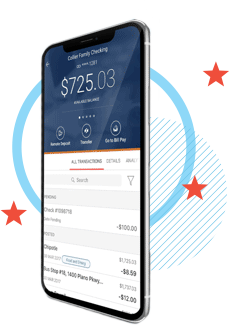 † Fees applicable to any ATM network in the United States and its territories will be charged to member account and then refunded to the same account by Civic within one business day. Rebated funds will be available for use following the credit union’s nightly batch processing. 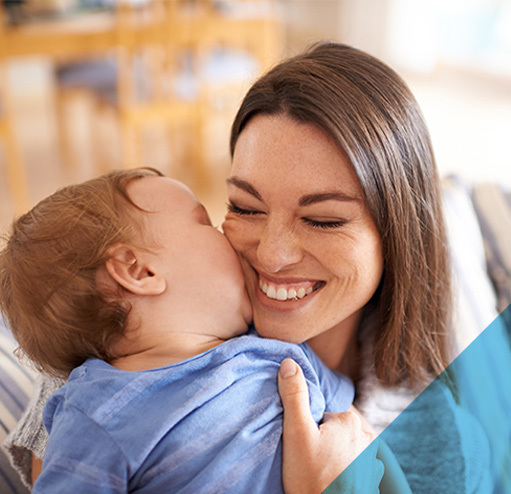 ‡ Civic provides eStatements at no cost to account holders. Paper statements are available for a fee of $5 per month. ∆ 24/7 identity theft and fraud protection is provided through Mastercard for Civic debit and credit cards. The service does not apply to checks or ACH transactions. To contact Mastercard directly, call 1.800.627.8372. ◊ Overdraft Transfer Service is available from savings or Money Market accounts with no minimum increments or transfer fees. Members may also apply for an overdraft line of credit from which transfers are made in increments of $50 up to available limits. Transfers are restricted to no more than six per month. Repeated excess transfers may cause the loss of overdraft privileges. Stash your cash. Reach your goals. Get the app for all the saving tools. Invest your hard-earned money and make it work harder for you. * Minimum opening balance is $500. APY of 1.25% applies to minimum balance of $500. For balances below $500, APY is 0.00%. Dividends are paid monthly. This account is subject to Regulation D, which limits certain types of transactions to six per month. Funds in this account may be used as overdraft coverage for Civic Checking Accounts. A loan to cover an overdue vacation or an unexpected emergency. * Subject to approval. Rates and credit limit are evaluated based on member’s credit history. Borrowers must be at least 18 years old and live in NC, SC, GA or VA.
Get a payment and term that fits your budget. * A new vehicle is defined as upcoming, current or prior year model with less than 7,500 miles. Loans are subject to approval for up to 110% of vehicle purchase price, to be used for tax, tag and title expenses; require comprehensive and collision insurance coverage; and have no prepayment penalties. Rates are evaluated based on member’s credit history. Borrowers must be age 18 or older and reside in NC, SC, GA or VA.
† A used vehicle is defined as having a maximum of 100,000 miles; vehicle value is determined using data from the National Automobile Dealers Association (NADA). Loans are subject to approval; require comprehensive and collision insurance coverage; and have no pre-payment penalties. Rates are evaluated based on member’s credit history. Borrowers must be age 18 or older and reside in NC, SC, GA or VA.
A credit card with no annual fees? Yes, please! * Subject to approval. Rates and credit limit are evaluated based on member’s credit history; rates are subject to change. Credit card may be secured with Civic Savings Account funds. † Subject to approval. Rates and credit limit are evaluated based on member’s credit history; rates are subject to change. Full credit card limit must be held in a Civic Savings Account for the life of the card. Minimum amount is $500. 24/7 identity theft and fraud protection is provided through Mastercard; to contact Mastercard directly, call 1.800.627.8372. ‡ Subject to approval. Rates and credit limit are evaluated based on member’s credit history; rates are subject to change. 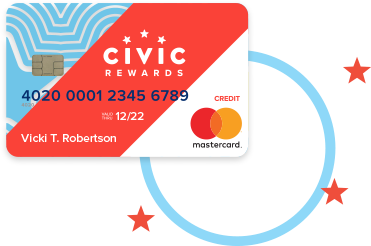 Credit card may be secured with Civic Savings Account funds. 24/7 identity theft and fraud protection for card is provided through Mastercard; to contact Mastercard directly, call 1.800.627.8372. ∆ 24/7 identity theft and fraud protection for card is provided through Mastercard; to contact Mastercard directly, call 1.800.627.8372.